See more objects with the tag carrying, brightly colored, cross, geometric, wrapping, offering. See more objects with the color saddlebrown grey sienna tan maroon or see all the colors for this object. This is a Carrying cloth. It is dated 600–1000 and we acquired it in 1946. Its medium is wool and its technique is plain weave with continuous supplementary warp and weft patterning. It is a part of the Textiles department. The idea of completeness was central to Andean design thinking. This simple, small piece is a four-selvedged cloth, with all edges intact. Structurally, it integrates two woven planes, one red and one white, in a double-cloth structure. The red ground is a simple plain weave, where yarns go over and under in a regular interlacement. Cochineal dye was likely used, coming from the cochineal insect that thrives on cactus in the region. The white yarns follow the same system of interlacing, but are spaced much further apart, resulting in the delicate outlining of the design. 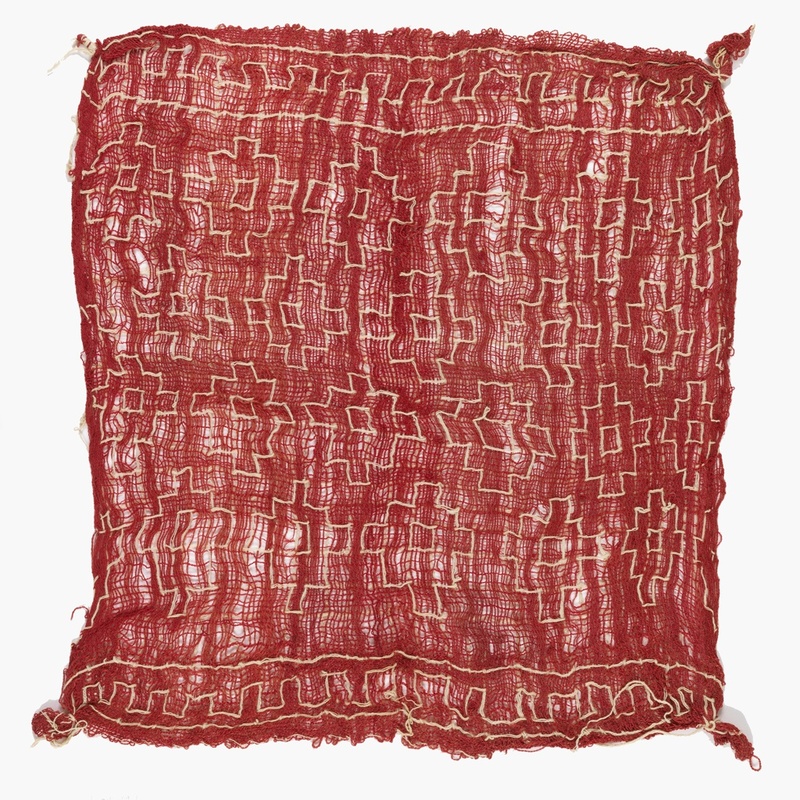 Tied in two corners, this cloth likely formed part of a burial offering, attached, along with others, to the outside of an ancestral mummy bundle. The stepped diamond pattern with a central square is a symbolic design used by many cultures in the Andean region, and it is found not only on textiles, but also on architectural friezes and ceramics. During the Inca period, it was used on special priests’ garments. 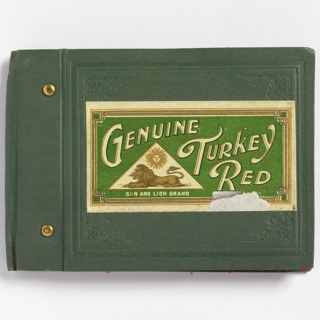 This object was featured in our Object of the Day series in a post titled A Four-Selvedged Cloth.